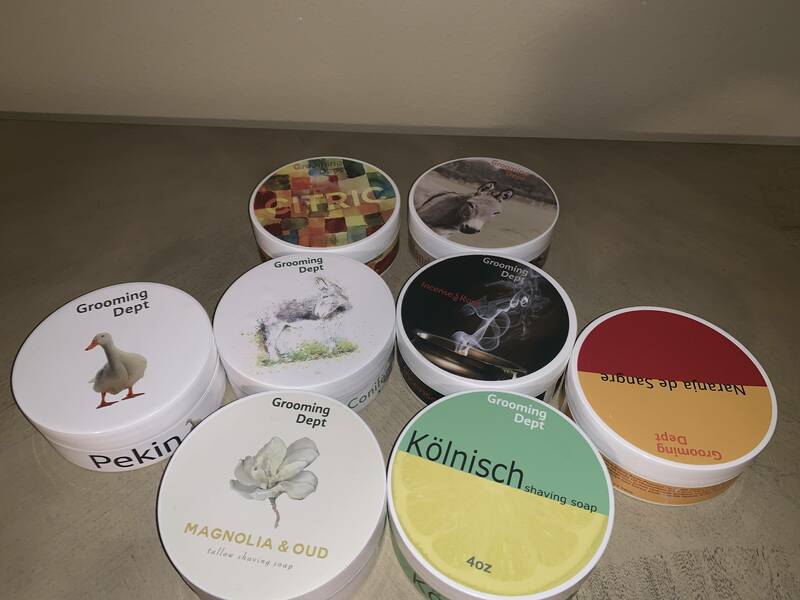 I am offering for sale a nice selection of barely used GD soaps. I will list the soap name along with the weight displayed on a USPS scale. The soaps were weighed with the lid on. I am asking $190 shipped CONUS. Also included will be these 4 Mike’s Natural soaps. Listed you will see their weight per USPS scale in the tins. I would like to sell these as one lot to avoid additional shipping fees and confusion on my part. 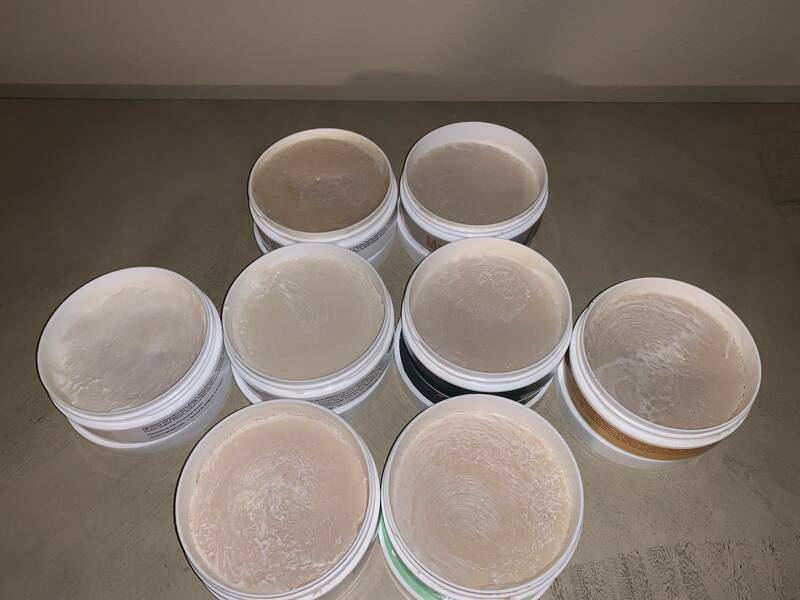 If there is a one or two soaps you just have to have, send me an offer and maybe we can work something out. I think the only one of these soaps currently available is Kolnisch from WCS. All others are sold out. Good god love the pekin, mandarin and chypre! Great lot!